This is the last week of the Row by Row Experience for 2018! Come grab a kit and a pattern while you can. We're also doing a drawing at 6pm Tuesday, September 4th on Facebook Live for a prize worth over $200! Want in on the action? Buy a Row by Row kit, get 1 entry; buy a kit and a license plate, get 3 entries! Hurry in while you can! 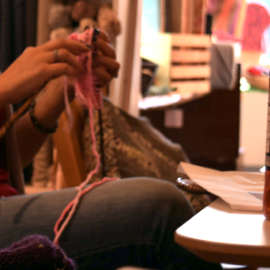 Join other knitters, crocheters, and embroiderers after hours on Wednesday Sept 5th from 6-9pm. Come sew after hours with free reign of the shop at our monthly sew-in. 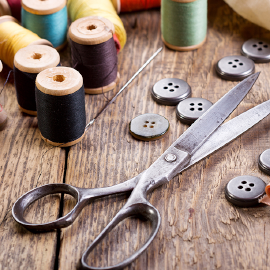 Meet other sewists and quilters, BYOB, and enjoy some productivity on Sept 7th from 6-9pm. 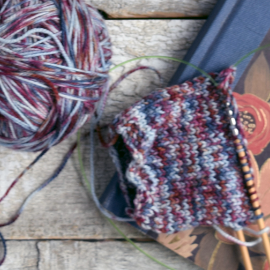 Up your knitting game this fall! Several classes are listed, from learning all forms of colorwork, to beginner knitting, to making socks! Every wardrobe needs a cute skirt and a series of accessories! 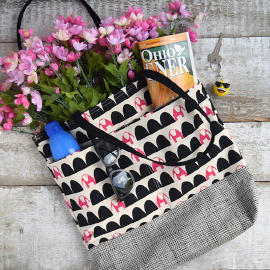 Work through Anna Graham's newest book, Everyday Essentials, to make a tote bag (pictured), a wallet, and zipper pouch. Want a skirt with pockets? Take the Gathered Skirt for All Ages class. 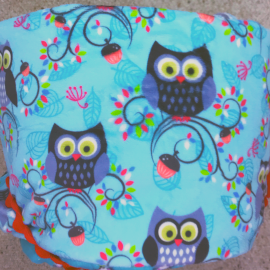 Beginner quilting is back! Learn everything you'll need to start your quilting journey. Pattern used is the one pictured, and offers a lot of possiblities. Save on super-soft minky, as well as silk/silk blend yarns! Take 15% off all cuts of minky, or 25% off 1 yard or more. Silk and silk blend yarns are 20% off; finish off a dye lot, take 30% off. 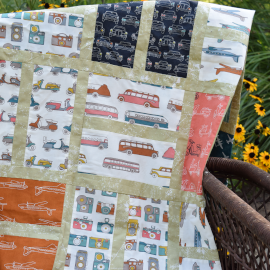 On Sept 1 from 12-1pm, Lysha will be doing a free demo on a simple quilt-as-you-go minky quilt. Don't miss it! Sale ends 9/6/18 and is in-store only. If you live out of town, give us a call and you can take advantage of the sales.